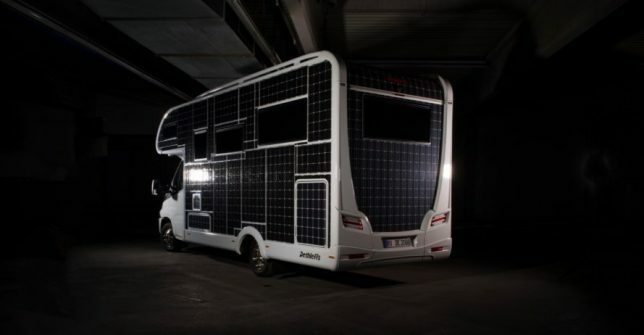 Electric vehicles are often limited by recharge options, a design problem this Dethleffs camper tackles with solar panels and German engineering. 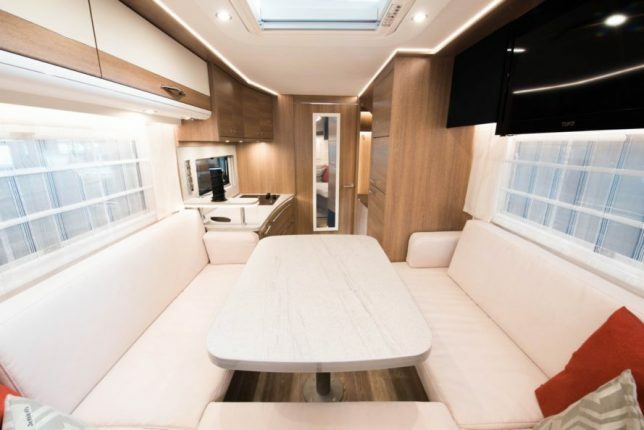 Their E.Home concept vehicle has a maximum range of over 170 miles but can potentially run indefinitely (at least by day) thanks to over 300 square feet of thin solar film covering most the exterior. These panels to generate up to 3,000 watts of electricity, powering up a sodium-nickel-chloride battery. 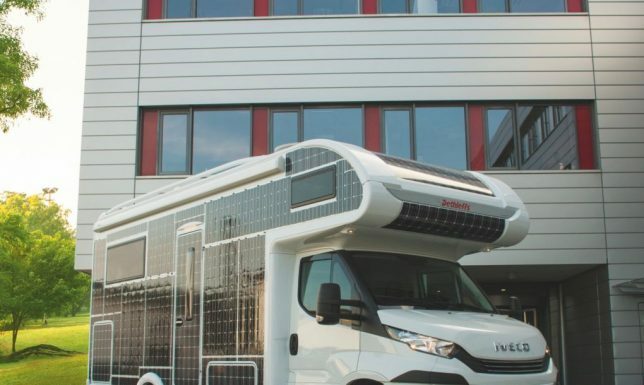 Of course, the less energy needed the better the range, so the camper company has also added phase change materials to store heat by day and release it at night. 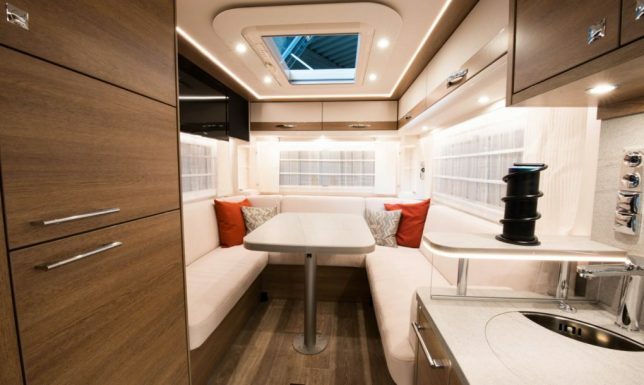 Infrared heating panels in the floors, walls and furniture also provide targeted supplement heating on demand. 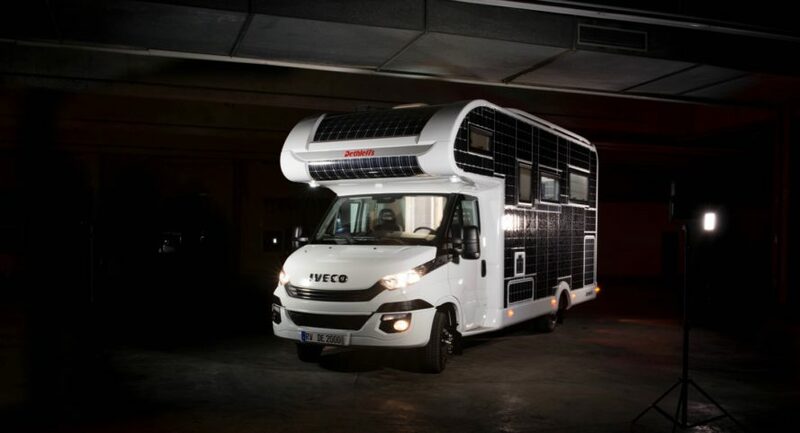 Thinking forward, the camper includes various other cutting-edge technologies, like driver assistance and vehicle monitoring systems. 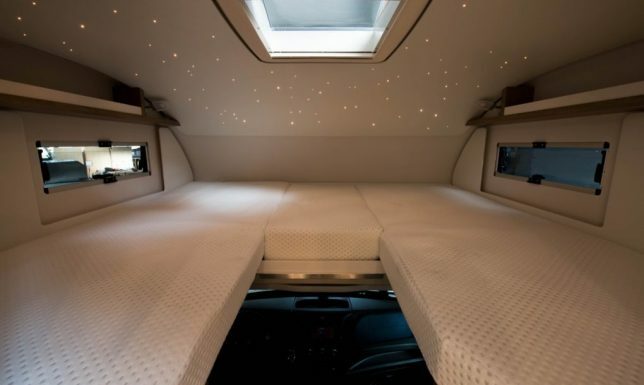 Give it a few more years and these things will presumably end up driverless, too — the ultimate in automatic, go-anywhere mobile homes (with even more room to relax without a driver’s seat! ).